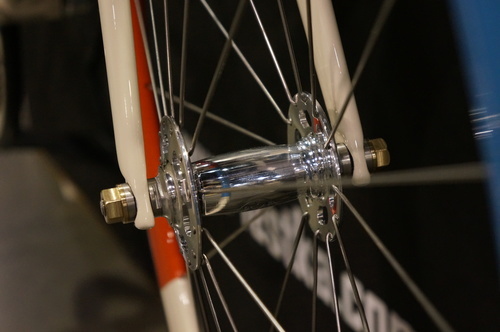 For the purist our track front hub is designed in the traditional vintage style of track hubs from old. With their high flanges, hand polished and window cut outs they are sure to be noticed while on or off the track. 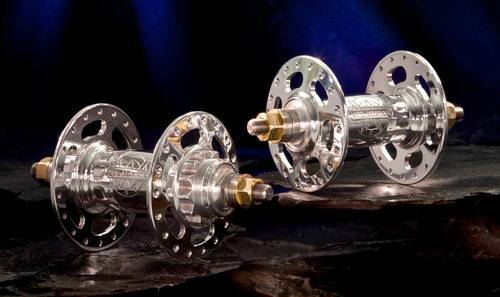 Solid threaded axles are graced with bronze axle nuts to set off the beauty of this hub. The rear hub is spaced to 120mm, track specific spacing, and the fixed gear interface is our spline design which eliminates the issue of stripped cogs. The mating fixed cogs are made out of 8620 case hardened steel with an electroless nickel plate finish. Cogs are available in 14t-20t and in both 3/32″ and 1/8″ widths. 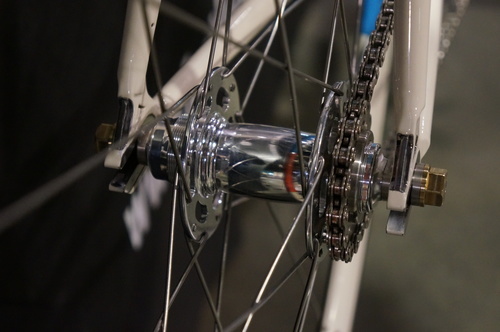 Also available in our flip/flop – fixed/free track rear hub.